Zip up the Born Mosse for a western inspired look with Born comfort. 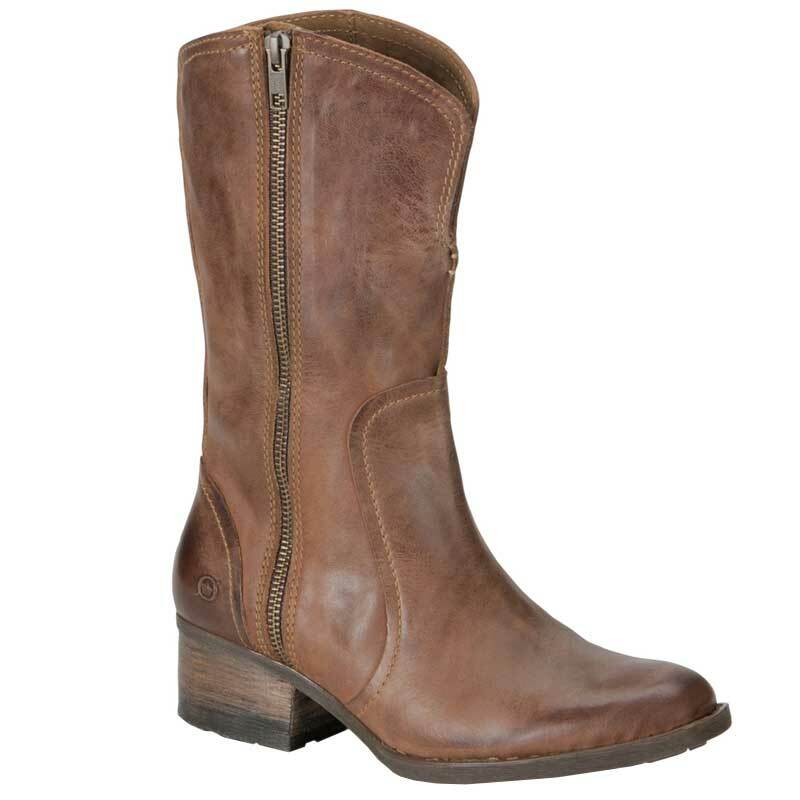 This beautiful boot is made from rich full grain leather and has dual zippers for convenience and visual interest. A deep v-cut at the shaft accommodates a variety of calf sizes and a microfiber-covered latex insole offers lasting comfort. This boot is crafted from Born’s Opanka construction making them flexible and lightweight and a rubber outsole gives you the traction you need for a confident step. Whether you’re headed out west or just out to dinner the wester-inspired Born Mosse is a good choice.